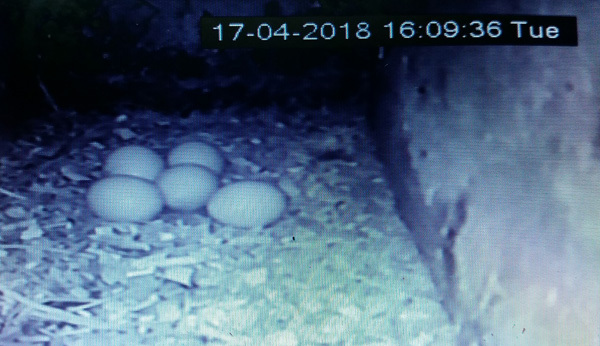 The Little Owl laid her fifth egg on the 15th April 2018. She is now incubating them with the male regularly visiting the nest chamber with food supplies. The Little Owl laid her fifth egg today. She has now started to incubate her clutch, so once again, fingers crossed!